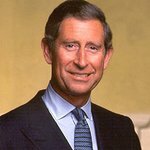 Prince Charles has written an introduction for a new film highlighting the work of the Prince’s Charities and responsible business and enterprise. “All of my efforts over the past forty years have been concerned essentially with one central principle – the well-being of the individual,” wrote the Prince. "Not the isolated individual. My emphasis has constantly been on the individual within community. People do not thrive without the support of a community so, in my view, if the hope is that people prosper, find happiness and feel that all important sense of satisfaction and belonging, then we have to maintain the fabric of community and not let it become threadbare. “In this film I wanted to demonstrate the role that business has to play in that process of nurturing community, not just in the UK but around the world – hence my Youth Business International charity. This film gives examples of the work done by such organisations. To demonstrate what I mean it visits the work of Business in the Community. As with Scottish Business in the Community, I have been Patron of BITC for over 25 years. “The film explains the ‘Business Connector’ scheme which I hope will soon become a nationwide scheme. It takes people from big business with top class business skills and parachutes them into the heart of run down areas to give those who are striving to regenerate their communities the sorts of skills and connections that they would not otherwise have access to. “The film also features Business in the Community’s “Ready For Work” programme which gives those who find themselves homeless the sorts of skills and understanding they need to get back into the world of work. The programme involves representatives from big business acting as mentors to those who are homeless, teaching them techniques for building confidence and enabling them to benefit from periods of work experience. The results of all these schemes are truly moving. “The film also explains the brilliant achievements of my charities, Prime and Prime Cymru, which help those people who find themselves suddenly unemployed and over the age of fifty. I have long been concerned that such people find it very difficult to find work and yet they have acquired a great range of skills and experience that are too precious to be just thrown away. “I felt it was madness, in fact, so I devised PRIME, The Prince’s Initiative for Mature Enterprise. It helps such people to establish their own enterprises or businesses. What is fascinating to me is how these businesses then fare in the long term. Many more survive than their equivalents set up by younger people, which says much about the value of experience and mature wisdom!